Organization Design looks at how you need to change the ways your organization does things in order to increase productivity, performance, and profit. Providing the knowledge and method to handle the kind of recurring organisational change that all businesses face, those which do not involve transforming the entire enterprise but which necessitate significant change at the business unit, divisional, functional, facility or local levels. The problem lies in knowing what needs to change and how to change it. Taking the organisation as a designed system, it describes four major elements of organizations: the work - the basic tasks to be done by the organisation and its parts, the people - characteristics of individuals in the organization, formal organization - structures eg the organisation hierarchy, processes, and methods that are formally created to get individuals to perform tasks, informal organization - emerging arrangements including variations to the norm, processes, and relationships, commonly described as the culture or 'the way we do things round here'. The way these four elements relate, combine and interact affects productivity, performance and profit. Most books on this subject target a wide management audience rather than HR, this is specifically written for HR practitioners and line managers working together to achieve the goal. 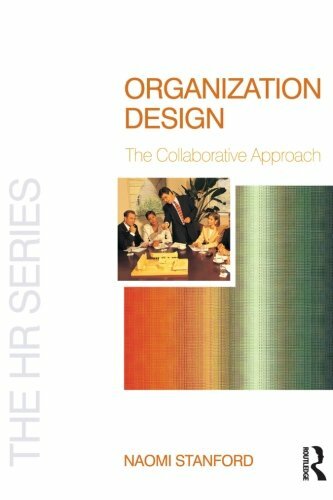 It clarifies why and how organisations need to be in a state of readiness to design or redesign and emphasises that people as well as business processes must be part of design considerations.